Yeah folks, get hyped, because as the title indicates, Discovery Channel officially announced that it will air a new American Chopper season in 2018. 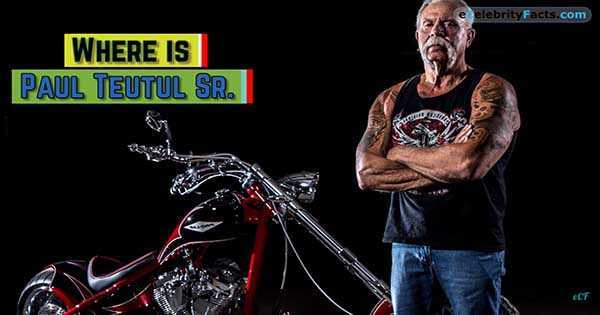 If you`ve never heard of American Chopper or its iconic founder, Paul Teutul Sr, you`ve probably been living under a rock. Paul Teutul is a master designer who has built some insane designs over his career. He co-founded Orange County Chopper together with his son that goes by the name of Paul Teutul Jr. With Orange County Choppers, the show started airing on the Discovery Channel back in 2013. It had an awesome run all the way until 2012 when the show was stopped. Nevertheless, we witnessed many iconic motorcycles being designed throughout the years. However, what happened to Paul Teutul Sr. after the show stopped? Well, he continued starring and appearing on various special episodes, TV Shows and talk shows. He appeared in the CMT series throughout 2013. Afterwards, he starred in a special American Chopper episode called Shaq Bike where they designed one pretty awesome motorcycle for NBA star – Shaquille O`Neal. He also continued frequently appearing on the New York International Auto Show. However, after American Chopper was stopped, OCC has been experiencing various financial problems. Last year OCC was sued by one of its subsidiaries and Sr. had to settle for $1.4M. Sr. also divorced Beth Ann Santos and since 2015 has been dating the beautiful Joannie Kay. However, all of OCC`s financial problems are likely to be squashed with the new American Chopper season that it`s due to be aired in 2018 on Discovery Channel. Finally, read more about Paul Jr. Teutul Designs by following this link!